Fourteen year old Mia McAdams’ world is turned upside down when she finds herself torn from her life on Earth and transplanted onto the planet Usonia – a secret utopic world colonised after the second world war to safeguard the human race. Submerged into this new reality, Mia quickly falls in love with the glittering planet and its alluring, other-worldly inhabitants. But when the future of Usonia comes under threat, it soon becomes clear that Mia holds the key to its survival. 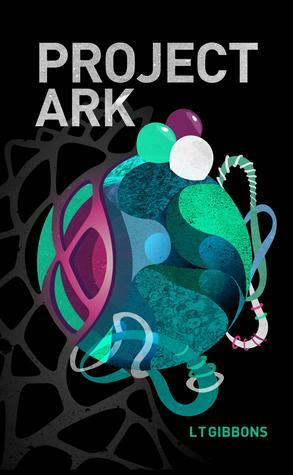 Project Ark tells the story of Mia McAdams who is uprooted from her life on Earth to live on the secretly colonised planet Usonia. The novel shows how Mia adjusts to her new life and the very different way of living on the utopian-like planet. I really liked the concept of Usonia, the whole new society and way of life, which is greatly different to that on Earth. There were amazing and very creative technological advancements. Project Ark high-lights environmental issues, and I like how it addresses them and also heightens the awareness of climate changes that we face today. However, for me the pacing and the characterisation of Mia was disappointing. I felt as though it needed more chapters to expand on some areas. I would have liked to see more of Mia’s life before leaving for Usonia and also seen more of an interaction between her, her parents and best friend as I felt that her back-story and relationships were somewhat side-lined. The conflict later in the novel was brought to a rather rapid conclusion and I would have preferred this to play out for a bit longer. I liked Mia’s character, but found myself wishing for a bit more depth to her. At times her swift adjustment to life on Usonia was frustrating. It felt as though she was now looking down on people from Earth and had forgotten that it wasn’t too long ago that she use to live there and be one of them. Perhaps Mia could have been used to bridge the gap that I felt existed between Usonia and Earth as there is lots that the two planets’ societies could have learned from each other. Overall I did enjoy reading Project Ark. L .T Gibbons is very talented and has a great imagination. In my opinion it could have been longer and expanded on in some areas but this doesn’t detract from it being a good read.